On September 12th I was given the opportunity to participate in Plein Air Painting at Sage Garden as part of their annual fundraiser "Supper at Sage". 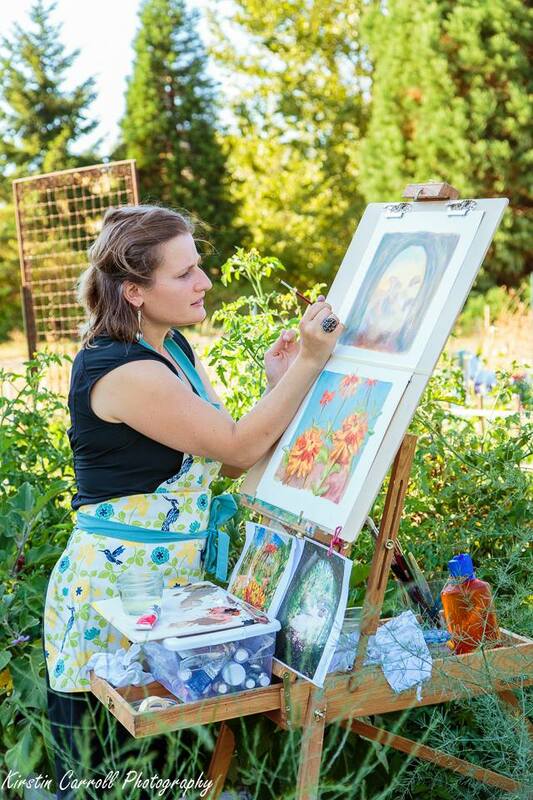 Several artists were peppered around the garden working in oil, watercolor, acrylic, and pencil. 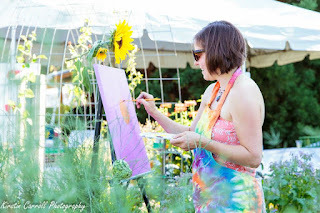 I brought a canvas painted pink and decided to paint a sunflower. I had such a wonderful evening in the garden and am pretty pleased with my cheerful painting as well!